VS Basketball GT (Game Time) is a court-side, real-time basketball scoring system. It includes a robust feature set, easy to use graphical input interface, extensive error checking, generates all the traditional reports you require and a whole lot more. The graphic to the right represents the main input window. For more detail information on how it works, click here. Creates commonly used 'BPK' file for visting team and conference reporting. Optionally can generate live web stats including GameTracker. All Standard reports along with shot charts and several unique ones. 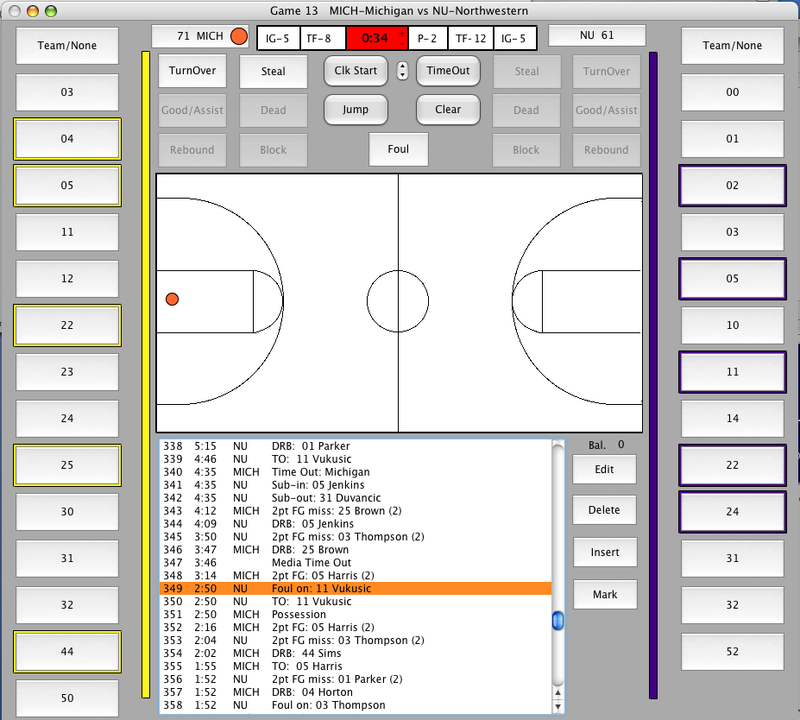 Supports media monitors and many scoreboard interfaces. Use in conjunction with VS Basketball PG to create season, career and team reports. A complete demo of the product along with user manual is available. Just e-mail us at info@VarsitySystems.com and specify "GT" along with your preference for Macintosh or Windows. To view sample reports click here.